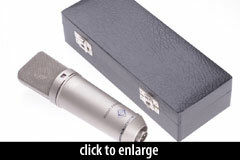 The U 497 was a limited edition FET condenser microphone commissioned by the French broadcasting network, ORTF. It is a hybrid of existing Neumann parts and technologies, in that it incorporates the K47/K49 single-backplate capsule of the U47/U48/Fet47 microphones with the multipattern FET amplifier circuitry of the U89 into a U67 body. 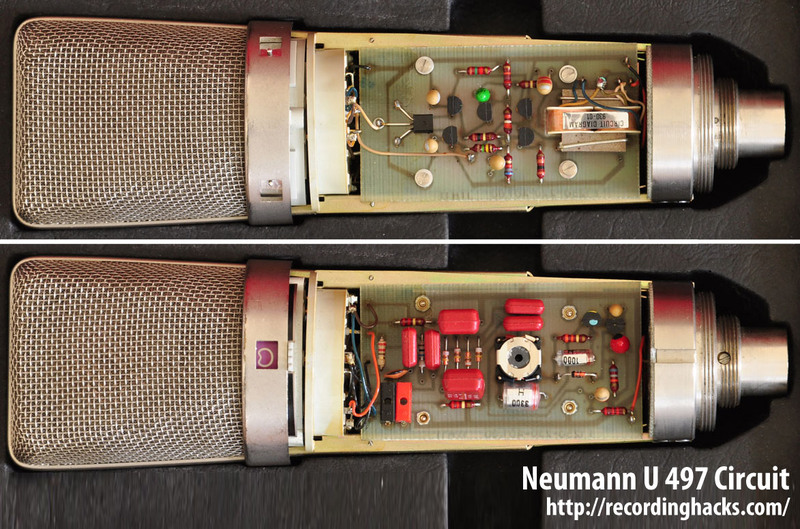 Regarding the circuitry, the nearest models in the Neumann catalogue were the U47fet (single pattern, with K 47/49 capsule), and the U89 (multi-pattern). Due to the broadcast company’s requirements, the U 497 is powered by 12V phantom power. The mic incorporates a DC-DC converter, presumably to generate sufficient voltage to polarize the capsule. A switch on the front of the microphone allowed selection from among three polar patterns: Cardioid, Omnidirectional, and Figure-of-8. Two switches on the rear of the mic body enabled a -10dB pad and a high-pass filter (slope and frequency not specified). The mic was manufactured in limited quantities from 1975–1985. 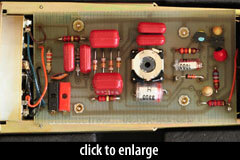 The circuit photos on this page were taken from an Ebay auction; they depict a mic modified for P48 by Peter Defahl. This circuit may therefore exhibit differences from stock U 497 microphones. 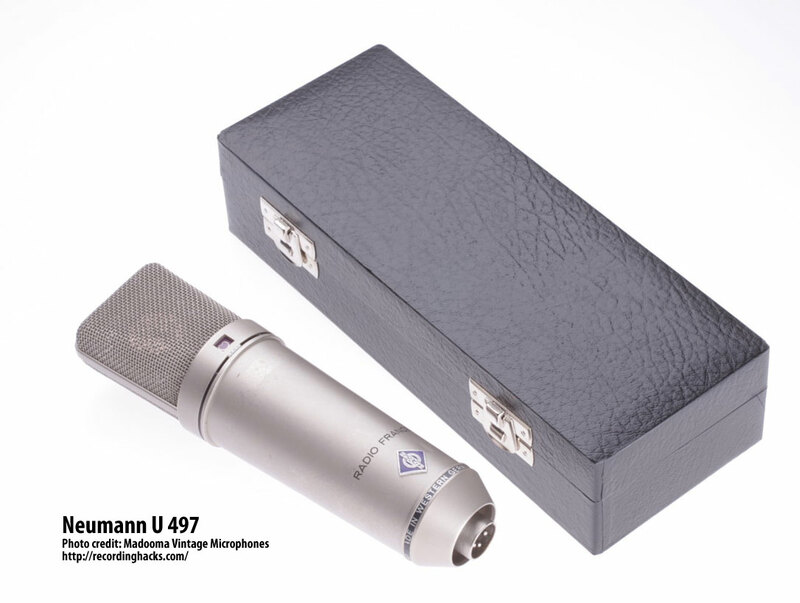 The Neumann U 497 is also known as: U497. The mic was released in 1975.